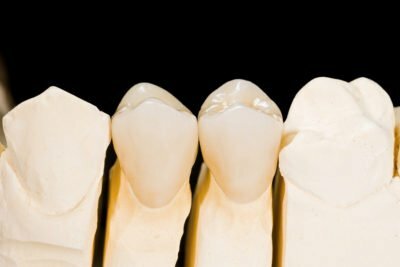 Crowns are prescribed when a tooth or teeth are too badly decayed, broken or cracked to be easily restored with a filling. Crowns are normally needed for teeth that have had root canals. Crowns are also placed on dental implants to replace missing teeth. Crowns can be made entirely of gold or porcelain fused to a gold substrate for strength and beauty. However, with new technology, crowns can be made entirely from high-strength ceramic and porcelain for beautiful cosmetic results. With proper care, your new crown will increase your overall health and instill confidence for years to come.